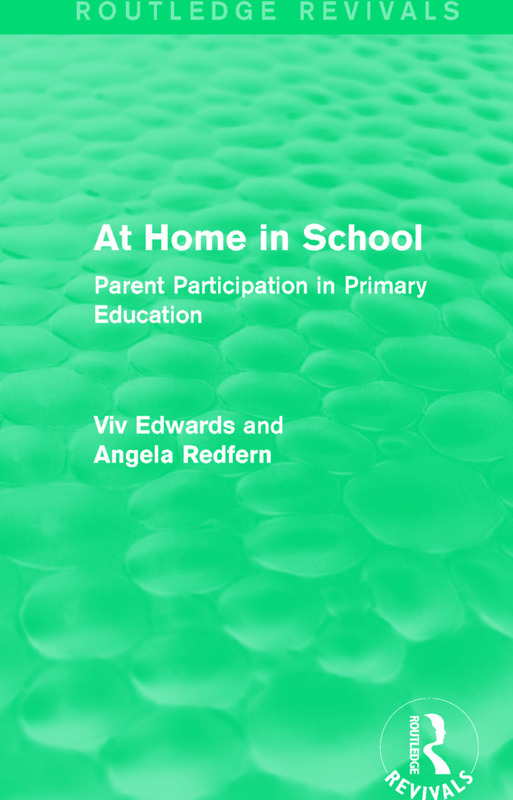 Originally published in 1988, this book discusses the gradual move from the separation of home and school to an increasing acceptance of the central role of parents as partners in their children's education. The book looks at the progress made towards real partnership with parents. An eminently practical account of the advantages of working with parents and the ways in which this can be achieved, it will be of special value to student teachers and practicing teachers, and to parents interested and involved in their children's education. The authors review national trends and developments since the issue was first seriously raised by the Plowden Report in 1967. Then focusing on one urban primary school (Redlands Primary School, Reading), they describe the changes which have taken place over a seven-year period, from the perspective of teachers, parents, and children. The book includes a personal account by Angela Redfern (formerly Deputy Head at Redlands) of what it has been like to be a teacher during this period of change, and telling comments from both parents and children on all aspects of involvement in school. Partnership with parents emerges as a course of action which reaps benefits for all concerned, and the authors stress that the developments taking place in schools like Redland are important for all schools, irrespective of their social class or ethnic composition.